If you are a BrickShooter fan and have a Windows Powered Pocket PC, this is a must-have for you. Take BrickShooter with you wherever you go! This version of BrickShooter implements the classical BrickShooter gameplay for your Windows powered Pocket PC PDA. 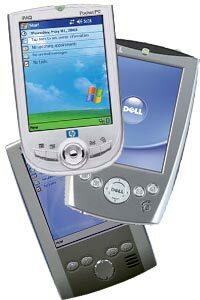 All Palm-Size PC, Pocket PC, Pocket PC 2002 and Pocket PC 2003 devices are supported. BrickShooter is a uniquely addictive challenging game for strategists of all levels from children to grand masters. BrickShooter is not just for people who can think and move fast. It's for anyone who enjoys solving puzzles and taking their own sweet time doing them. You can play the demo version of the game for only 15 days. Please register BrickShooter for Pocket PC to avoid the 15-day limitation. Third-party products and brand names may be trademarks or registered trademarks of their respective owners.